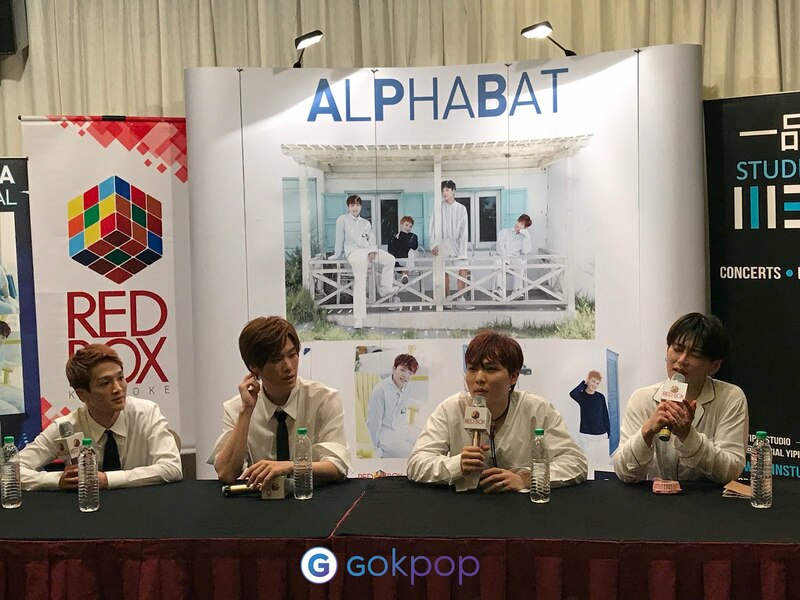 GOKPOP | Exclusive K-News in Malaysia & Singapore: Press Conference: AlphaBAT is back to "Get Your Luv"
Press Conference: AlphaBAT is back to "Get Your Luv"
B:eta, E:psilon, G:amma with K:appa completing the AlphaBAT are excited to be in Malaysia to showcase their latest songs and to meet their Malaysian fans. B:eta, E:psilon, G:amma says Malaysia are full of memories as they have filmed their ‘Oh My Gosh’ music video and met Malaysian fans back in 2014. 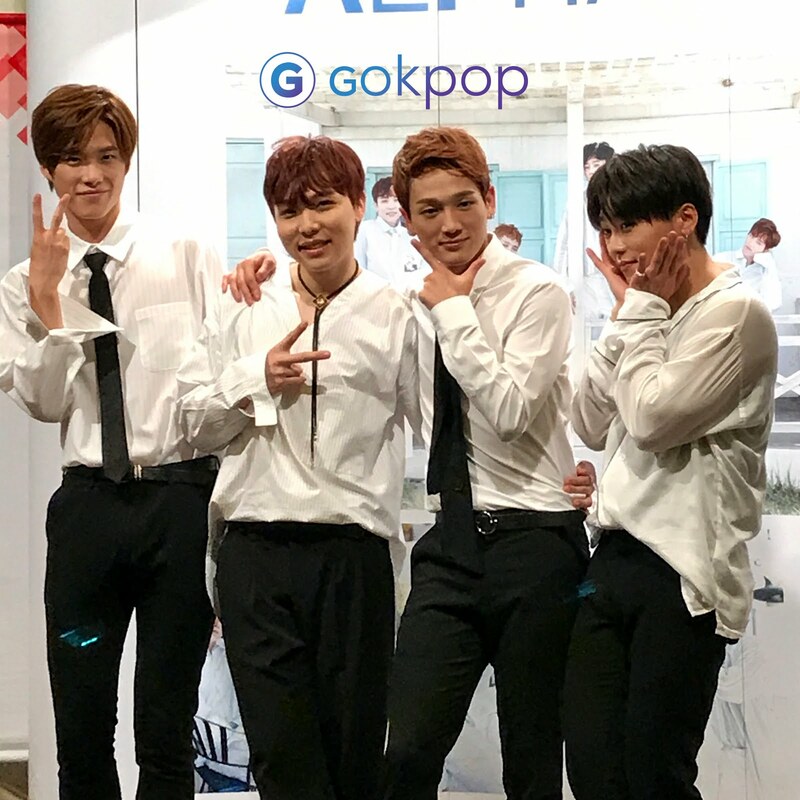 It is K:appa’s first time in Malaysia and he’s ready to explore the warmness of Malaysia fans. He had his first of durian candy but he did not like the taste. AlphaBAT recommended their ballad song “Pray” to fans. The song is about a relationship hardship. For future collaboration, B:eta wishes to work with Shawn Mendes and continue by singing a part ‘There’s Nothing Holding me Back’. 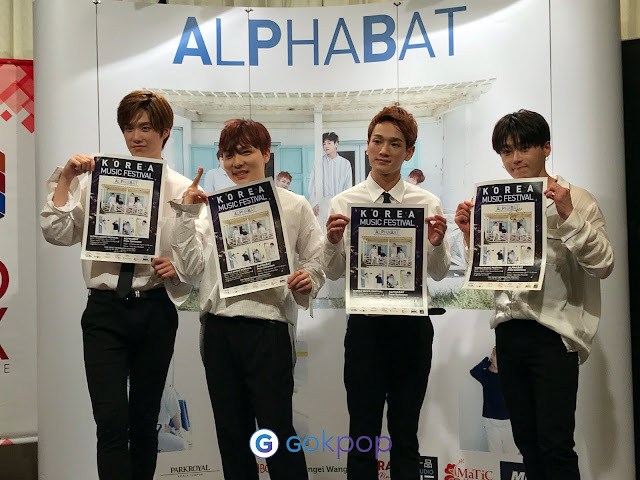 E:psilon wishes to work with Michael Buble, G:amma chose Charlie Puth and K:appa hopes to have the opportunity to duet with Adele. E:psilon added that he hopes to work with Baek A-yeon as he admires her voice and enjoys listening to her song. During the press conference, AlphaBAT performed ‘Oh My Gosh’ and ‘Get Your Luv’ captivating the audience with their ecstatic performance. 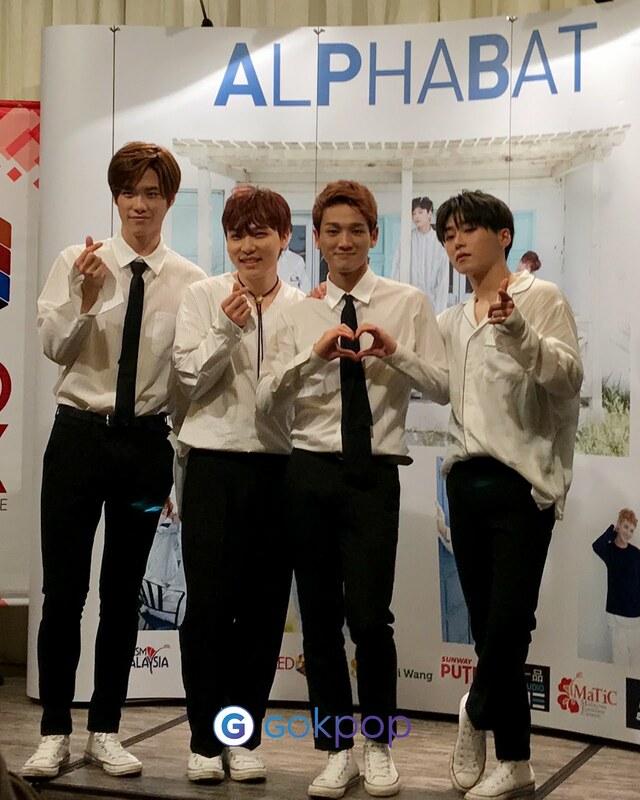 AlphaBAT reminds the audience of their schedule in Malaysia and are looking forward to meet their Malaysian fans.